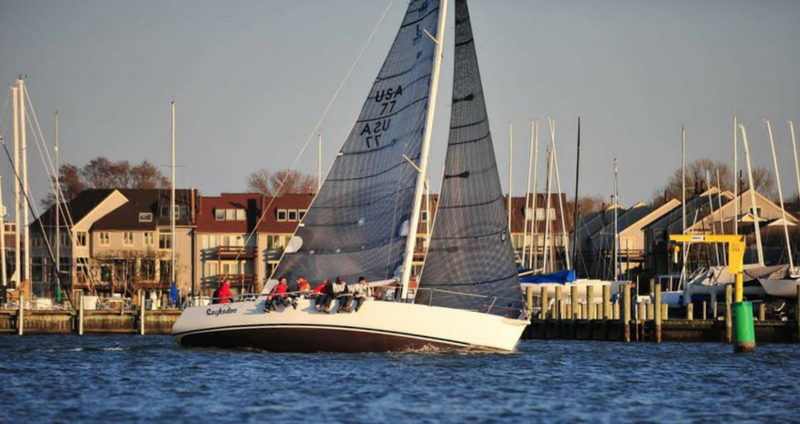 Edgartown Yacht Club invites sailors to compete in the 80th Annual Edgartown Race Weekend! 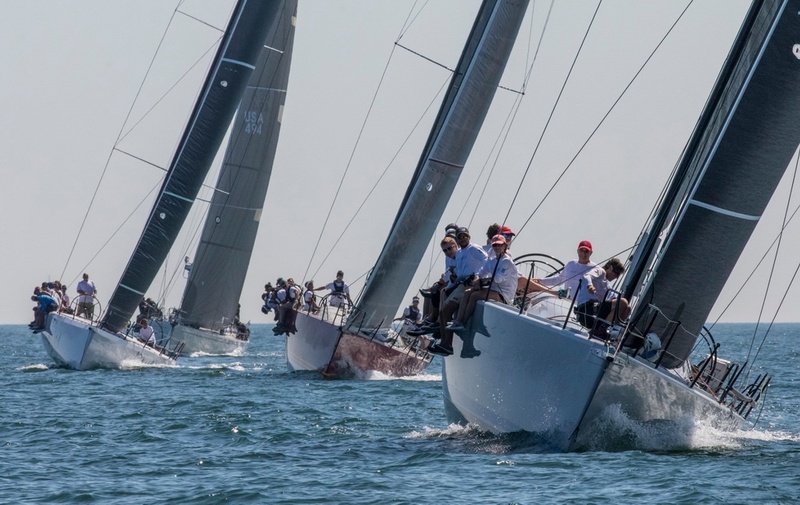 Hosted by Edgartown Yacht Club, the 2018 Edgartown Race Weekend will take place the third weekend in July in historic Edgartown, MA on the island of Martha's Vineyard. 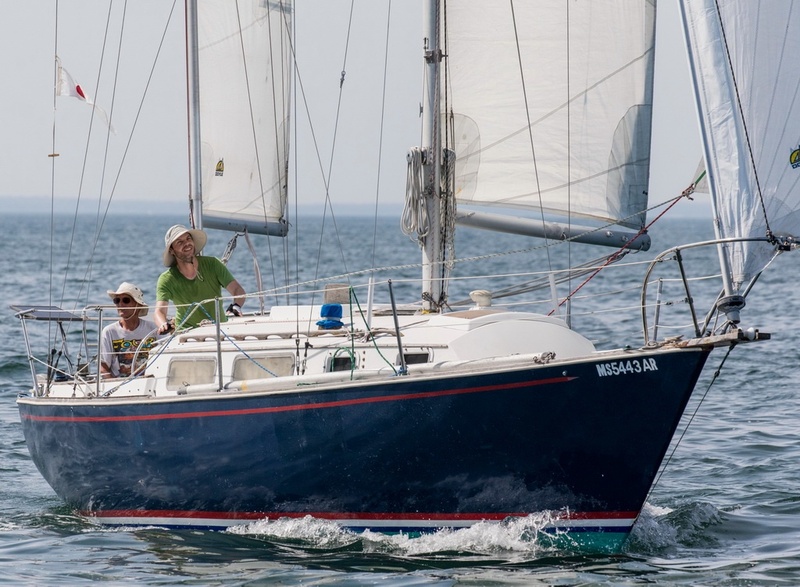 More than 70 yachts attend each year, competing in two days of 'Round-the-Buoy (‘RTB) racing, a scenic 56NM 'Round-the-Island (‘RTI) course starting in Edgartown's Outer Harbor, and – new this year – a 'Round-the-Sound race option! The Round-the-Island race has been held annually since 1938, except for the years of WWII. The race was inspired by the race around the Isle of Wight which began in Cowes, England in 1931. The course is reminiscent of the race around the Isle of Wight in England, which was the course of the first America’s Cup. As with the Isle of Wight, tidal currents and wind effects play a large factor. The race passes over Nantucket Sound, the Atlantic Ocean and Vineyard Sound, and by the seven lighthouses of Cape Poge, Gay Head, Tarpaulin Cove, Nobska, West Chop, East Chop and Edgartown as it circumnavigates the 100 square miles that make up Martha’s Vineyard. With a first warning signal at 0800 hours, both cruising and racing boats typically finish by late afternoon or early evening. In the morning the fleet sails between Martha’s Vineyard and Nantucket along the east beach of Chappaquiddick. At midday they are in the open Atlantic Ocean with views of the south coast of the Vineyard. In the afternoon, rounding the cliffs of Gay Head, the fleet sails up Vineyard Sound. If the tidal currents or wind conditions make going slow, the Race Committee may shorten course to finish just north of Menemsha. Edgartown Race Weekend's RTI is a long-standing New England tradition, but like all good traditions they can evolve a bit over time. In 2012 the ’Round-the-Buoy Races were added to provide a just-right combination of competition for dozens of teams. Said competition is as friendly as it is fierce: ERW promotes fun, competitive racing for boats 28 feet and longer in classes for IRC, ORC, ORR, PHRF-NE, Classic, One Design, Multihull, and Double-Handed. 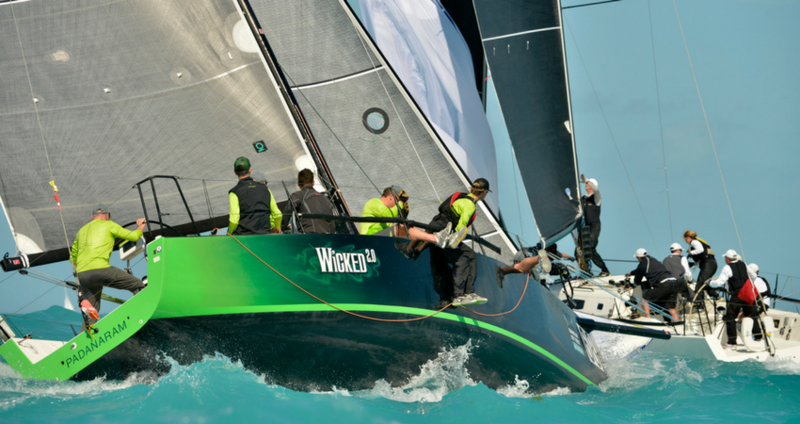 Entries include top-performance yacht racing programs as well as boats of families grilling hot dogs on their sterns as they round the island. The RTB skipper's meeting takes place at Edgartown Yacht Club on Wednesday at 1700 hours, and racing commences the following morning with the first warning signal at 1000 hours. After Friday's races, participants and families are invited to Edgartown Yacht Club for a Mount Gay sponsored award ceremony and Jump-Up party on Friday evening! While the RTI remains the anchor for this Vineyard tradition, credit to the club for innovating on its schedule. The new ’Round-the-Sound Race (RTS) option for teams wanting to sail a shorter course of approximately 20NM around government marks on Vineyard and Nantucket Sounds. 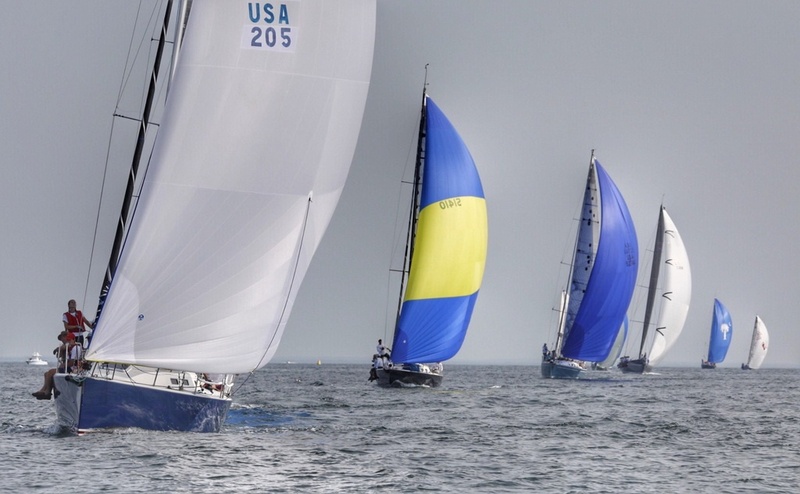 The RTS adds yet another dimension to Edgartown Yacht Club Race Weekend, and is certainly an appealing alternative for those wanting to go a bit easier on Saturday or just even try short-distance racing for the first time. The RTS will start at 0900 on Saturday, soon after the final start for all classes entered in the 56 nm RTI. Sign up for Edgartown Race Week 2018! Click here to register for the ‘Round-the-Buoy Races, and here to register for the Round-the-Island Race. To read the Notices of Race, click here. A registration fee is required for the ‘Round-the-Island Race; ‘Round-the-Buoy Races are free.